The very name "Champagne" conjures images of élite (yeah, with the accent) dinners, journeys, and toasts. The only region in the world certified to sell capital-C Champagne -- the rest is just sparkling white wine -- can indeed be a place where Benjamins go to die, drowned in opulent chateaux weekends and cases of bubbly bought under impaired judgment and a haze of attempted French. But don't let that scare you off. Go to the region itself, and you'll find you can skate by on normal-person vacation prices. 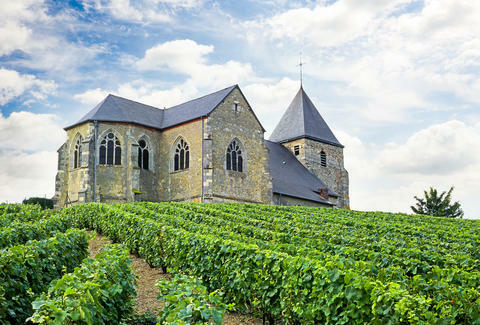 This goes double if your idea of a proper road trip involves the rolling vineyards of Northern France and enjoying samples of the world's best sparkling wines -- often on the house. A dash of adventurism and a soupçon of entitlement are all you need to ramble around one of the world's premier wine regions. Here's how to do all of it for less than a bottle of (very, very good) Dom Perignon. Champagne is about 90 minutes from Paris. Rent a car (which starts at about $10/day with Auto Europe) and start your boozy road trip through the French countryside. The entire region is broken into four smaller segments, Ardennes, Marne, Aube, and Haute-Marne, each of which contains a cluster of small towns breaking up the entire area's 84,000 acres of vineyards. If you're a planner, contact small wineries like Fallet Dart in advance to see if you can set up a tour with your tasting. Some wineries will charge a nominal fee for tastings, which can then be applied to an (inexpensive) bottle purchase. Consider it an investment in your future. Though European hotel rooms are notoriously tiny, a three-star hotel room that sleeps four adults (you'll be dozy from all the sparkling wine, it's fine) under $100 is totally possible in the region. If you prefer to go the Airbnb route, expect to find plenty of industrious locals ready to rent out their tourist-friendly places to couples and solo travelers at less than the cost of a good bottle of Champagne, or roughly $50. 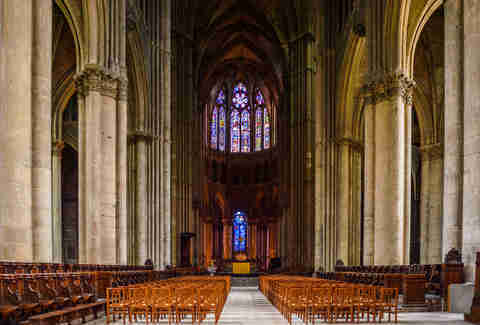 If you're young enough to still be on your parents' insurance, step into this 13th-century French Gothic cathedral that you may just recognize from Euro history books. Though the price is a little steep, this hour-long tour is seriously informative and unlike anything you've ever seen. 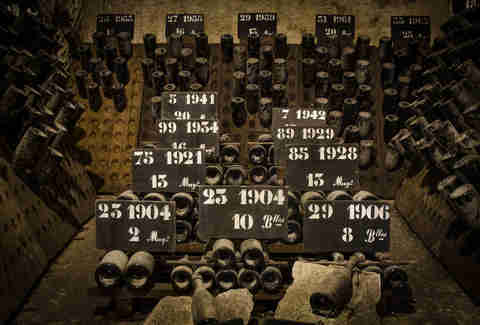 Head several stories underground to former chalk quarries which now house millions of bottles of Veuve Clicquot. You'll learn about the Champagne-making process and Veuve Clicquot's history. The Snapchats alone will make the 25 euros worthwhile. Just bring a coat -- it's chilly down there. 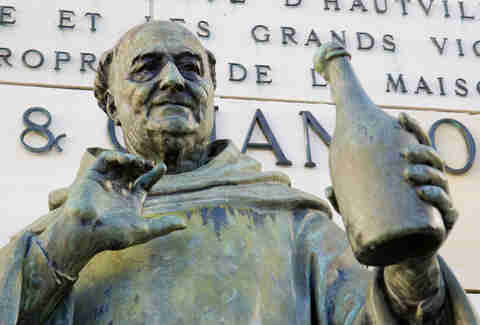 Actually, he'd probably prefer if you drank whatever Champagne you were going to honor him with, but go find the man credited with popularizing sparkling wine buried at Église Saint-Sindulphe in Hautvillers, where the monk was laid to rest at the church's altar. On most iconic street in Epernay, the world capital of Champagne, you'll find Champagne houses of familiar names and tons of unfamiliar wine domain housed in both ornate and quaint 19th-century architecture. Stop into wineries with a friendly bonjour and see what tastings you can mooch. Like your life depends on it. Champagne is all about the day drinking, not so much the nightlife (though you can visit a discotheque if you're so inclined), so prepare to start your day with a glass of bubbly until your early nightcap when you start over again. 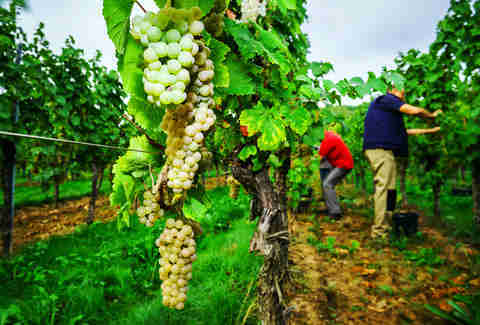 The annual Champagne harvest takes place in late September or early October. Winemakers decide when to harvest on only a few days' notice, so unless you're just driving around Western Europe, it can be hard to plan a visit around the official grape-picking. If you're dreaming of Snapchatting billions of grapes on vines, visit in the spring and summer, while the fruit is ripening and you can show off your tan from the vineyards upon your return. A fancy watch and a sharp haircut. Champagne skews a tad formal, appropriately, so even if you're planning on mooching as many free samples as possible, skip the torn jeans and go for at least a dark wash. Note that the fancier you look, the more people may look at you as a potential wine case buyer, i.e., they may ply you with more complimentary tastes. Do leave room for some cheap Champagne to bring home -- it's so obscure it will look fancy to anyone you gift it to. Melissa Kravitz is a writer based in NYC. She drank Champagne with every meal in Champagne and hopes to continue this (very healthy) practice.